As the economy continues to shed jobs, many have turned to or are considering starting their own businesses. There are numerous benefits to being self-employed- especially in recessionary times such as these. One just needs to know how and when to take advantage of them. 1. Save money on work-related expenses. Depending on the nature of your business, being self-employed may mean that you are spending less on some of the indirect costs of working for someone else, such as transportation, business attire, or food items. 2. Take advantage of rock-bottom prices. 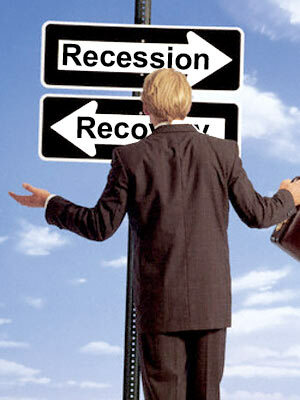 In a recession, the cost of raw materials and supplies as well as real estate and even labor tends to drop. That means lower start-up costs and less over head expenses. 3. Have access to a bigger and better talent pool. A surge in layoffs coupled with a drop in hiring means that many talented, often highly qualified and experienced people will be seeking employment. 4. Take advantage of changes in business relationships and business needs. In order to maintain their competitive advantage, many businesses will be looking to establish new partnerships with those companies that can provide better or more innovative ways of delivering products and services. Being a new kid on the block may open the doors to such partnerships. 5. Get financing from wary investors still looking for a good return. With a volatile stock market and lower interest rates, investors (especially family and friends) may be more willing to invest in your company. 6. Economic adversity opens the door to new opportunities and innovation. Consumer needs, habits, and tastes often change during a recession paving the way for opportunistic entrepreneurs. 7. Be a light in the darkness. Creating, promoting, and growing one’s business under difficult economic circumstances, does not only go against the trend, but it demonstrates a different “side” of the market. This will lead to a win-win situation; the human interest stories will sell and the business will gain publicity as a result. 8. Take advantage of any government policy aimed at businesses. The government’s response (in terms of law making and program development) to the economic slowdown can often mean tax breaks and sometimes new business opportunities.